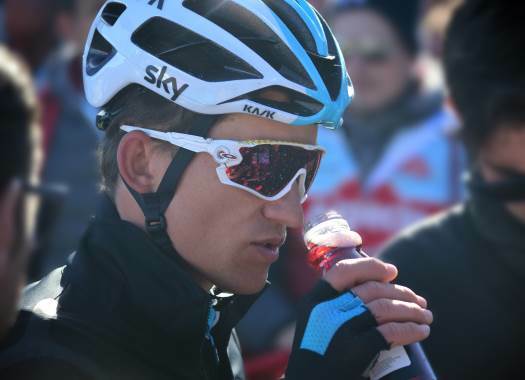 Team Sky's Michal Kwiatkowski has won the fourth stage of the Tour de Pologne. The rider also took the lead of the overall classification of the race of his homeland. The fourth stage of the Polish race was 179 kilometres long between Jaworzno and Szczyrk and featured four climbs of the first category and an uphill finish. Jan Tratnik, Marek Rutkiewicz and Bert Van Lerberghe formed the breakaway of the day and took more than six minutes of advantage over the peloton. Tratnik was the escapee that held the longest on the stage but was reeled back in with eleven kilometres to go after he was joined by riders like Georg Preidler (Groupama-FDJ), Patrick Konrad (Bora-hansgrohe) and Jorge Arcas (Movistar). The reduced peloton continued riding together until the last climb, where Richard Carapaz (Movistar) was the first one to make a move. But he couldn't resist the pace from the others and was caught by last year's winner Dylan Teuns (BMC). But when a victory of the Belgian was close, Michal Kwiatkowski launched a strong attack and took the victory at the last metres. Teuns crossed the finish line in the second position and LottoNL-Jumbo's George Bennet was third. "Winning here on that stage is really special," said the Polish rider to TeamSky.com. "My family and Agata [Michal's fiancé] are here, and that was really perfect. Winning in front of the public when people expect you to is just an amazing feeling. "After the Tour, you're never really sure about your condition. Of course, I was mentally ready to have a good race but you never actually know. The team took responsibility today, chasing for the whole day, and that was a big thing from the boys so full credit to them. I was so happy that I could finish the job in that style." With this victory, Kwiatkowski also took the lead of the General Classification.